As it turns out there are a ton of refer a friend best practices to consider. Here are a few solid ideas to get you started. Awesome, you’re thinking of setting up a referral program. But, you want to know some refer a friend best practices. No worries, this guide is here to help. Like all good things, you need to do a little research in the beginning. It’s likely that you have already been exploring other successful referral programs. This is a great way to get some ideas for your own program. What works, well… works. Here’s what we’re going to talk about, if you want to jump ahead… now’s your chance. There are plenty of statistics that verify why referral programs rock. Here are a few just to prove my point. People are more likely to buy something when they are referred by a friend. Referral programs make better and more loyal customers. Those sound nice, right? Despite knowing this information a business may choose to not run a program? Why? Well, a referral program can be overwhelming because of all the moving components. But, running a successful program doesn’t actually have to be hard. Let’s dig into some refer a friend best practices. 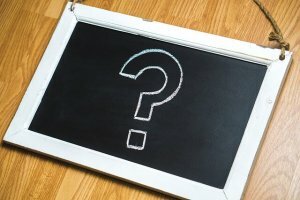 What is refer a friend marketing? It’s a fancy way of saying referral marketing. Referral marketing uses the influence of existing customers to attract new business. Referrals work because people actually trust recommendations from someone they know (aka your customer). Refer a friend programs are used to spread the word about a particular business, product, or service. Therefore making referral marketing a component of word of mouth marketing. Refer a friend marketing uses referral programs as a way to spread the word, in a manner that can be tracked and accounted for. Essentially, a referral program is essentially an organized process of sharing a business with a friend and tracking the reward process as well. Here are a couple successful referral programs, just so you get the idea. 3. 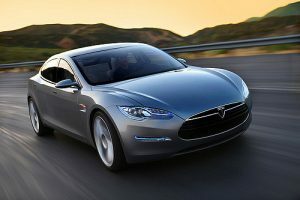 Tesla – Being a big name in tech and energy industry, Tesla Motors are making a lot of news headlines these days for being futurist and forward thinking. They reward their customers by giving each Tesla owner a maximum of 10 $1000 discounts to give their friends. In Q4 2015, 25% of their total sales came from their referral program. next motor from Tesla. Also, Tesla owners can tour their factory on an invite or get a chance to be part of the the grand opening party. 4. Evernote – has made great strides since its launch in 2008. This note-taking app is currently valued at massive $1 billion and has over 100 billion customers worldwide. Their referral program is solely responsible for their growth and success. You get to earn 10 points for the first three referrals. This can cater for additional monthly upload of 3 GB or 3 months of premium. Also, the referee gets to earn a free 1 month of premium. 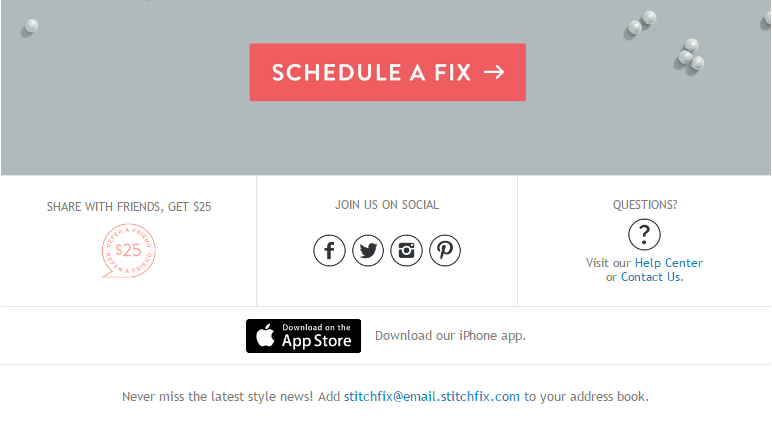 StitchFix – Stitch Fix capitalizes on customer happiness, encouraging customers to share their positive experiences in exchange for a reward. 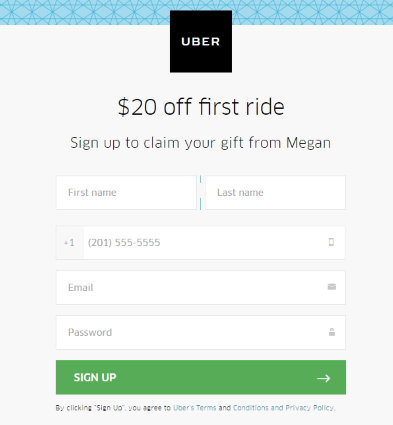 Uber – the Uber referral program is probably one of the most well-known referral programs out there. A free ride is difficult to resist. See more referral examples. Perhaps you’ll get some ideas for your own program. There are a few things you should do in order to have a successful referral program. Here are 10 refer a friend best practices to consider. Obviously, this is a big one. If you know who your customers are it’s easier to create a program that will excite them. Plus, it will be easier to exceed their expectations. This will also provide a personalized feel to your program. Your customers will know you care about them and they will appreciate that. If you offer a reward that your customers love then your program will be a success. Your reward should be something your customer desire… something worthwhile. It should repay them for their efforts of inviting a new person to your business. Rewards show can show your customer that you care about their efforts. When people can see that their effort is appreciated they tend to work harder. Meaning you have the potential of getting multiple referrals from just 1 customer. There are multiple components to this point. Firstly, decide on who to reward. Then decide on what to reward them with. A rule of thumb – give a reward that makes sense. The referral program reward may be the only reason people join the program. So make sure it’s something that customers actually want. b. If your product is a high cost or subscription based, consider using a discount. Cash or store credit works great for repeat customers. c. If you sell a low-cost product consider a percentage discount. The invitation is key, especially if you’re launching for the first time. So who should be invited to your referral program? There are actually many people that you could invite to your program. If your program is not easy to find, then chances are there will be low participation. We know some businesses like to keep their refer a friend program on the down low, but make sure the people you want to see it are able to find it. Having multiple touch points makes a lot of sense. Consider where promoting your refer a friend program makes sense. Referral program promotion is truly an ongoing event. You can’t just promote it once and expect it to take off. Use all of your resources and promote the heck out of it. Remember social media, emails, your blog, newsletters, your website and even phone calls can be a great resource for promoting. Don’t forget your call to actions! Use emails – Any email you send your customer can be used as a referral program invite.Transaction emails seem to be opened more often. Provide a call to action (CTA) to your referral program inside customer emails. Link it to your social media profiles – This can be an easy way to drive people to your program landing page. Social media bios are a great place to add a link to your referral program. Your customers will be able to easily navigate to it whenever they need. Make it visible on your website – You don’t need to be over the top to promote your program on your site. Some businesses like to add the link to their footer, others like to add a link to their menu. As long as customers can see it, and find it, it will be used. Add it to their customer portal -Perhaps you don’t want it on your main menu. Or you want your program to be exclusively for paying customers. If this is the case, add a link to the referral program inside the customer’s dashboard. Try retargeting ads – Sometimes people need a reminder. Not to mention after a while, referral sign ups can start to taper off. Retargeting ads could make it stay active. Work towards a goal – Yes, one of the main goals of starting a referral program is to bring in more customers. But it’s always good to have specific goals to work towards. You want to be able to measure your progress. When you’re able to measure results, you’re able to see what works and what doesn’t. Be realistic! With attention lifespan of an average person being 5 seconds, quickly offer an immediate incentive after a customer has completed a purchase. Associating your business with a refer-a-friend program can help increase your brand awareness. Whether you create email campaigns for your refer-a-friend program, look into where you can make the most impact and with speed. If you provide an NPS evaluation for your customers, and if they are satisfied, you might want to immediately have them share their experience or refer-a-friend. It’s also important to make it very easy and less time consuming for your advocates to join and share. If your program is easy to share then people will share with their friends. By creating easy to share links, your members have no excuse to not to share. Remember making it as easy as possible for your members is key. They are providing you with new customers, so don’t make it feel like it’s a hassle or a job to refer. We all get reminders about appointments, meetings, etc. Why not send a reminder to follow up with users? Someone may sign up but may forget about the program after a while. Send them a quick reminder. Let them know the program is still there. Your follow-up doesn’t have to be too intruding, it can simply say something like “hope you’re enjoying our referral program” or “we’re excited to meet your friends”. Follow up’s go hand-in-hand with promoting your program. It never hurts to do a little detective work. You may have already scoped out your competition to see how their products fair to yours. Do the same with their referral program. Check it out see what you like and what you don’t like. Use it to craft your program. If it’s working for them, it may work for you too. FYI, this is a good way to get a leg up in creating the perfect referral program.ideas. A thank you can go a long way. When someone joins your program, why not let them know that you’re thankful for it? If someone provides a new referral be sure to say thank you. 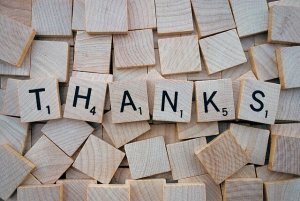 Saying thank you is a simple and easy way to stay connected with your customers. Plus, it can motivate them to refer again. 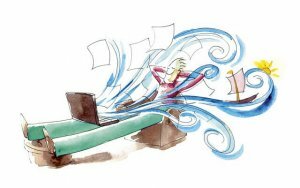 Software can make your life easier. Plus, it can make word of mouth easier too. Talk about winning combo! Referral software allows you to track referrals coming in, track who referrals are coming from, and help you distribute rewards. Plus, it allows for easy sharing via social media and email. Not only does software allow your customers to share easily with their friends, it makes it easy for you to share with customers. It’s a lot easier to promote something when a link is just a click away. Basically, referral software = winning. Think of your customers, the reward, and how you promote. These are your key players when designing a top-notch referral program. Obviously, the rest of ‘team’ is important, but these points can make or break you. Here are some more refer a friend ideas. There are a few email components that need to be thought about. Meaning, crafting one email template is not going to cut it. You have multiple people involved, therefore you need a small army of emails. There is a technique for inviting people to join your referral program too. First off, you need to think of the two individuals who will be receiving the emails. The existing customer (the referrer) and the new customer (the referral). So, how do you write an email asking for a referral? The refer a friend email, is actually a set of emails that are dispersed after certain events. You have your initial invite email. Then a registration email, and other various reminder emails. 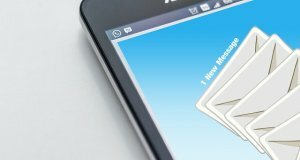 Reminder emails can boost engagement. A reminder could be a recent referral sent or a reminder about the program in general. You also have a few emails to send to the new customer. These include their invite email, and perhaps a thank you message for completing a certain action. This email, at least the initial email is actually sent from your current customer. So you need to decide on what message will be representing both you and your customer. Here are some refer a friend email ideas to get ideas from. Here are 6 things you can do to make sure your customer refer a friend email is successful. Make sure your subject line is clear & attention-grabbing. Keep the email simple. 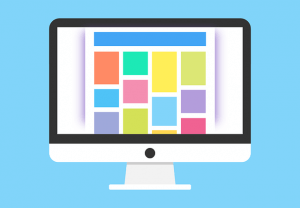 Use a landing page to go more in-depth. Make sure your CTA does its job – drive people to the landing page. Include the benefit or reason why a customer should join. Include any benefit for the customer’s referral. For example – give $10, get $10. Be sure you are catching them at the right time – when they are happiest. Transactional emails are awesome for this. There are a ton of different software options out there to help with refer a friend programs. In fact, we have done a lot of the dirty work for you, so here is a list of the top refer a friend platforms available. Choosing the right platform can be difficult, as there are so many details to consider. You need to think about how you want your program to operate before you set out on your quest to find the perfect software. After you get the general idea of what you want to do, you can shop around. Luckily, there are a few refer a friend platforms that offer a demo and/or free trial. We’d recommend scheduling a demo, just to see if the software is going to be able to do exactly what you want it to. Then if you are intrigued, testing the software should be your next step. Most software will allow you to display the program in a variety of ways. A popular and convenient option is the refer a friend widget. This is a great way to get customers signed up for your referral program, without making them jump through hoops to do so. The cool thing about a refer a friend widget is that it can be used as a pop-up. This way you can decide when a customer should sign up. One helpful tip is, do this when the customer is most happy. For example, some e-commerce sites have a pop up refer a friend widget right after a customer makes a purchase. The trick is to refrain from having too many pop-ups as a customer will likely ignore them if too many occur during one session. Building an online marketing presence should be a top priority for both well-established and new businesses. Most customers are comfortable to recommend and share their experiences on their social networks. You just need the right referral program ideas to help you kick off a successful program. There are many well-made referral programs out there. 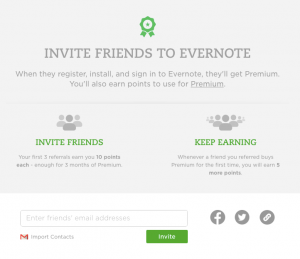 Here’s some top-notch refer a friend campaign ideas and examples. If you are already providing a great service and awesome support, customers are probably already talking about you. If you tap into this word of mouth and implement a referral program, you have the potential to unlock a ton of referrals.